‘Saving lives’. That’s probably the best feature you can allocate to any new technology. It means tech isn’t just interesting, but it’s relevant and useful to modern society. When talking about thermal cameras that’s one of the first things you can label these impressive gadgets with. 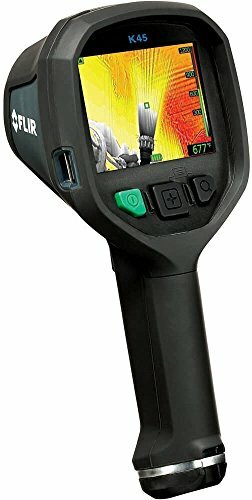 The first thought you may have is that you can simply use a traditional thermal camera that you may already have or you have have looked at specially built fire fighting thermal cameras and realized that they are quite a bit more expensive than a normal thermal camera with the same specs. First, using a traditional thermal camera in fire fighting or rescue situations is just not feasible as the environment will be too harsh for them to operate correctly and provide useful data/images. This leads us to why thermal cameras specifically built for fire fighters and first responders cost more. They are engineered to operate in much higher temperature environments (the FLIR K2 can operate for 3 min. in +500°F environments) and built to withstand much more rugged situations than a normal thermal camera. Thermal cameras for fire fighting also have higher temperature detection ranges which is needed for accurate data and images. 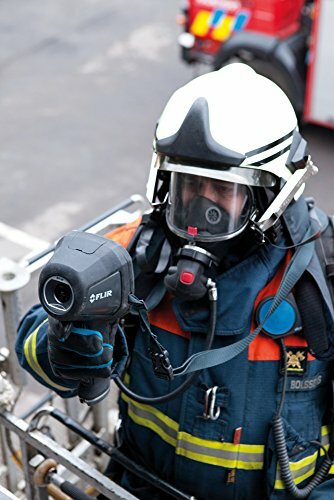 As an example the FLIR K2 Fire Fighting thermal camera has a temperature detection range of 32°F to +932°F while the FLIR E6 ( a commercial thermal camera) only has a detection range of –4°F to +482°F. We go more into the details on each camera below. To help you upgrade your set of equipment, we compiled all you need to know and the best examples you can pick from, all made by the market leader, FLIR. If you’ve come across thermal imaging before you probably imagine people - armed forces, police or even hunters - working in the dead of night. But what is another situation with very limited visibility? Smoke. When a person is surrounded by smoke or a building is burning down you can’t discern what is really going on, even a few feet in front of you. Furthermore, is it safe to send in teams if you can’t gauge what they’ll face once inside? A thermal image camera helps, not only in doing their tasks, but to keep them safe. Plans are based on in depth knowledge of what is inside the fire and where victims are located. 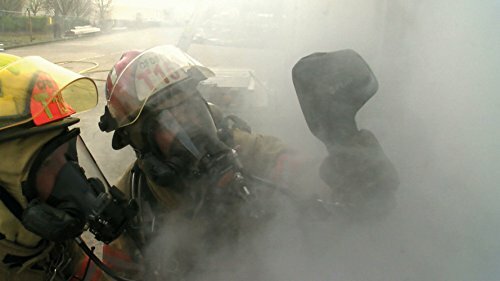 Now firefighters can work more effectively, know where to go, reach people faster and there’s less chance of them getting hurt in the process. You can even find hidden fires so the circumstances don’t surprise you or force you to make the wrong decision. These features help in hazmat scenarios too. 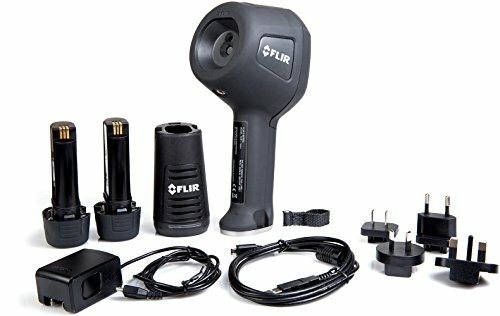 So, what is this impressive FLIR range? How are They Different from Regular Thermal Imagers? But why aren’t regular thermal imagers used for this? It’s important to know there are different types of imaging. Ideally, you want technology that’s not dependent on light, because smoky scenarios can cut out all light even in daytime. FLIR’s range uses advanced thermal imaging with the help of infra-red light which provides images even in very bad light. Furthermore the addition of a camera gives you a very clear representation of the area. You don’t have to guess details from an abstract image. That makes for better, more accurate and safer decision making. These tools must also keep on working despite high temperatures as we noted above. When you buy from the right brand you’ll also benefit from the rugged designs that will survive being dropped or splattered with water. Of course, you can’t trust simply any equipment in the high risk environment fire fighters work in. That’s why NFPA (National Fire Protection Association) compliancy is so important. This entity fights for safety standards that would prevent death from fire, electrical and related hazards. Being certified by this entity means the FLIR product adheres to codes and standards that prove they’re safe to use & will improve safety of those who use them. So, which one will your team try out first? The FLIR K2 is a pretty basic unit but still impressive with 160x120 pixel resolution. It will handle -4° to 932°F and show you details on its 3” LCD screen. It’s back lit which makes it more practical for working in low light conditions. It provides you with a 47° x 35° view so firefighters have more than enough information to base their decisions on. The kit is practical for this application as it includes a lanyard so you won’t accidentally drop it when something unexpectant happens. The multiple lithium batteries provided means you can work for long periods without your equipment dying on you. It only weighs 1.54lb so it’s not too cumbersome to carry when wearing heavy protective gear. Measuring at 4.1” x 3.5” x 9.8” you can even fit it into a pocket if necessary. As stated this is one of the more basic models and some improvements are necessary. The batteries are difficult to change, which can be bothersome during an emergency. The screen also takes its time to refresh. Still an awesome tool. The K33 model is slightly more expensive than the K2, but that’s necessary if you want more visibility thanks to the 240x180 resolution. The more clarity you have the better decisions you can make. This is one of the brand’s newer models which showcases an intuitive interface. It’s built for the unique circumstances of working in smoke and fires, as it’s rugged & durable. Did you know some of FLIR’s devices have survived until the fires died out, after being dropped inside burning buildings? That’s proof of the level of quality materials and workmanship that go into these units. This is still a compact model but it has high performance output via its 4” LCD screen, the handy neck strap and FSX technology. This Flexible Scene Enhancement feature will intensify details of structural nature in the image you view. When you have better perspective and orientation, it’s easier - and less daunting - to do your job. Let’s take it even further with the FLIR K45. It also has 240x180 resolution and the famous FSX technology. This has been tested by professionals - the results you get will enhance your ability to make life saving decisions. The unit is made of PPSU Silicon rubber aluminum which is cast in a flame resistant magnesium alloy. 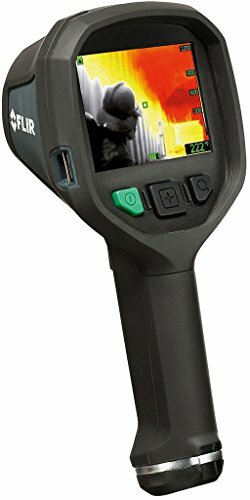 Despite the compact designs, the FLIR handheld models are comfortable to use even if you’re wearing gloves. It has a simple intuitive interface managed by the three buttons underneath the screen. The camera feature along with thermal imaging gives you a realistic view of what’s in front of you. On the 4” screen it’s quite clear for easy reference. FLIR also provides smart accessories such as the charging console. This keeps your equipment room neat and tidy. The camera measures 4.7 x 4.9 x 11 inches. You can set this up on a tripod, but you’ll need an adapter. It’s a bit heavier than some, weighing in at 2.4lb. 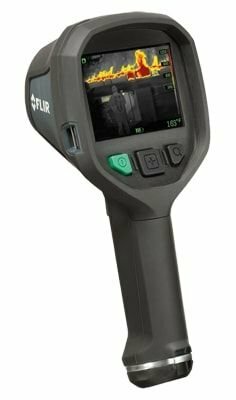 The K53 is another FLIR product with a 320x240 resolution. You’ll benefit from the 60Hz frame rate and the images displayed on the quite large 4” LCD screen. These are all designed - with the assistance of firefighters - to provide clear information in smoky scenarios. It has some of the more advanced features but is slightly more affordable than some models. This means even if your department functions on a limited budget your team can get access to modern resources. As with most in this range you’ll have a rugged item giving you reliable information. If clarity is a first priority you’ll love how vivid images are on the 4” screen with 320x240 pixel resolution. As with other FLIR models the display uses FSX technology to make the image realistic so you know what to expect when entering a smoke filled room. The 4 hour work window thanks to a quality battery, is an appropriate time frame for using while rescuing people or putting out a blaze. Note that only one Lithium ion battery is included in this package; you may want to purchase additional ones to exchange them when necessary. Note that the menu only supports English. You can transfer data such as captured images via a simple USB connection. This is the most impressive unit in the range. Surprisingly it’s not much heavier than some others, but you get the benefit of NFPA compliance and other valuable features. As with most purchases form FLIR you even get a hard transport case and a USB cable included. All of this focused on firefighting. You get two batteries included so on long working days firefighters can quickly exchange and carry on working, without any additional expenses on accessories. You can store up to 200 photos on the unit which you can download and view on a computer later on. These products prove FLIR went to exceptional lengths - such as including firefighters in the development process - to ensure quality products. But apart from quality you also see relevancy to a certain niche which can change firefighters’ lives - and those they’re trying to save - forever. We think that’s worth the expense.